Yields on rand-denominated securities due December 2026 fell five basis points to 8.55% by 8:09 in Johannesburg, the lowest since May 30. 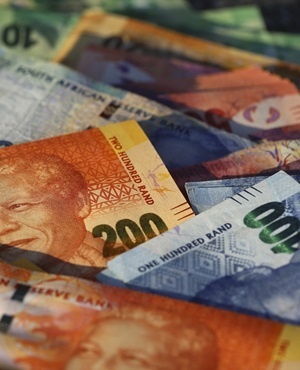 The rand led gains in emerging-market currencies, advancing for a second day to trade 1.3% stronger at 14.3077 per dollar. The lack of news from Moody’s means South Africa retains its position in Citigroup Inc.’s World Government Bond Index for now. An exit from the gauge would spark forced selling of local bonds by investors that track the measure. leading to outflows of as much as $10bn, according to Investec Bank. Options traders pruned their short-term pessimism on the South African unit as it rebounded. The premium of options to sell the rand over those to buy it, known as the 25-Delta risk reversal, fell by the most in six months. Moody’s said its sovereign release calendar was indicative of dates for potential action only. It rates South Africa’s foreign- and local-currency debt at Baa3, with a stable outlook.